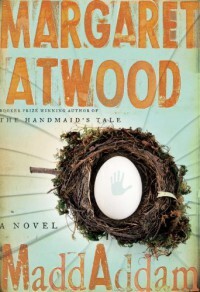 It's hard to measure up to the first book in the trilogy, which was like being dropped into cold water: our future, in Margaret Atwood's vision, is a very alien world, yet it's very easy to see how we could get there from here. I think in the cases of scifi and speculative series, you read the first book hoping to have your mind blown and the rest of the books to follow the fates of the characters and world you've become invested in. So I devoured this volume, eager to see where a narrative can go when it starts at apocalypse, but I wouldn't recommend it unless you've read and enjoyed the first two.